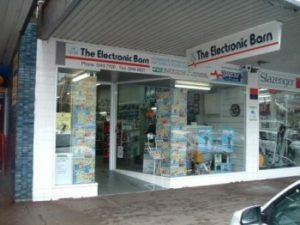 The Electronic Barn is a locally owned business specialising in UHF radio; television accessories and antennas; electronic tools and components; recreational solar panels; power adaptors and leads; batteries, and DIY security. The store is a Jaycar Electronics Authorised Stockist so you will also find a great range of gifts, gadgets and gizmos. The Electronic Barn has been in Sale for 13 years and prides itself in quality service for the customers and the extensive technical knowledge of the staff. Whether you need a battery for your remote control, a solar panel for your caravan or a digital multimeter try us first.